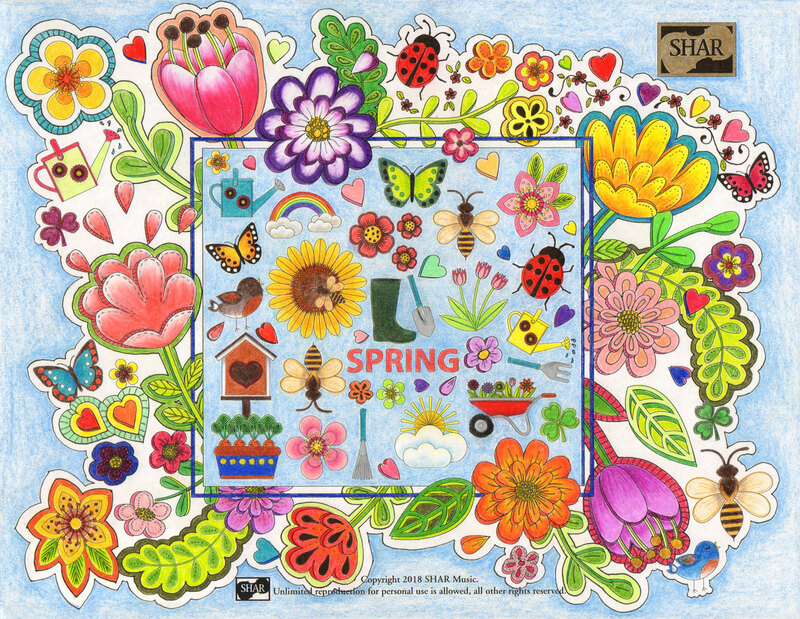 We’ve been pouring over all the creative coloring pages we’ve received for weeks, and while our talented customers have made it difficult to narrow down, we are happy to announce the winners of SHAR’s Spring 2018 Coloring Contest! 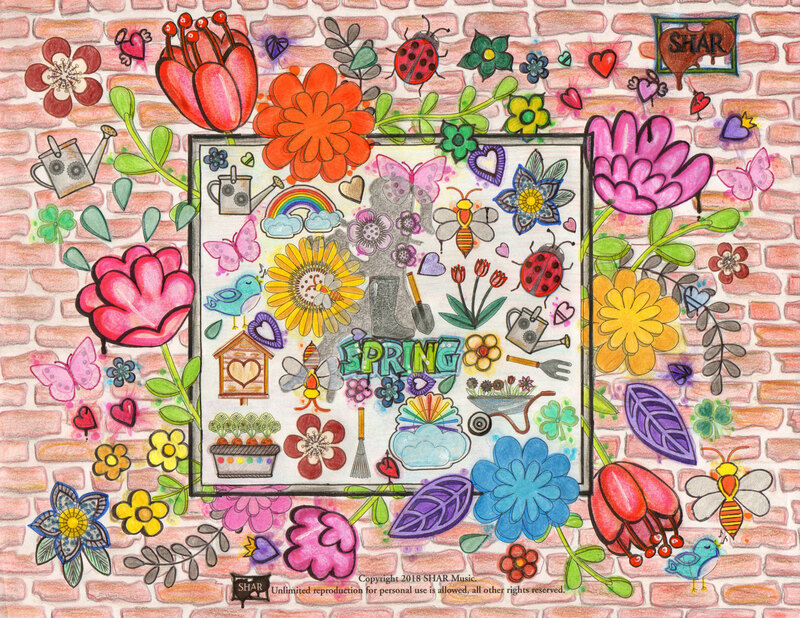 Our contestants ranged in age from 5 years old to 50 years old, and it was wonderful to see everyone customize the coloring pages in different and imaginative ways. 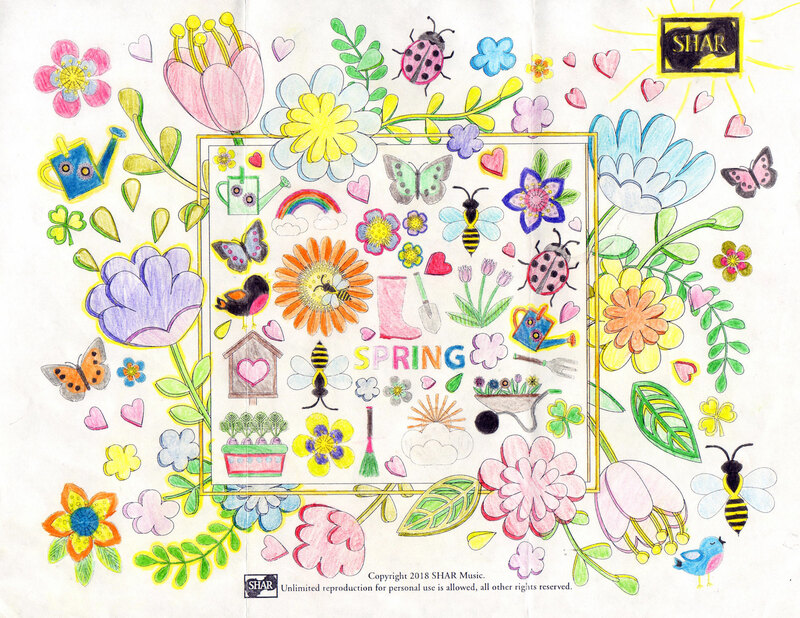 We hope everyone enjoyed coloring their pages as much as we enjoyed looking through them all! 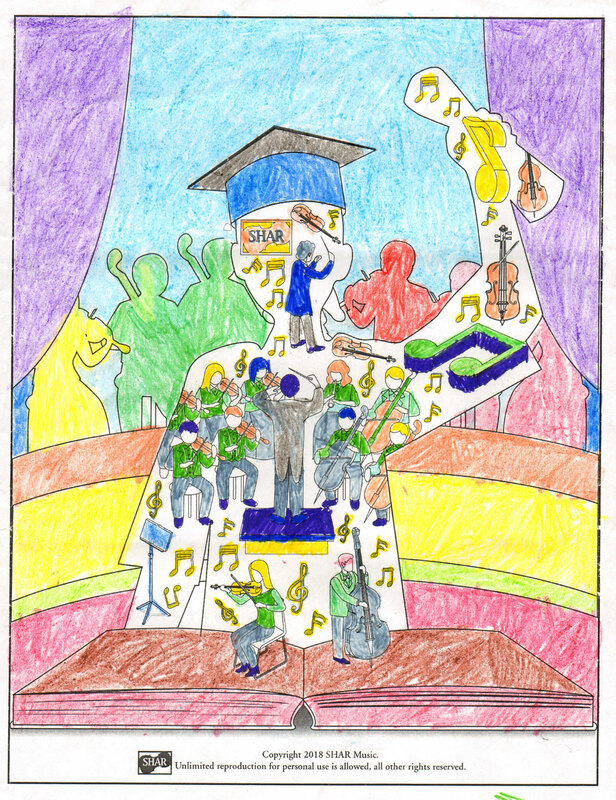 Chloe did a great job of staying in the lines, picking out vibrant colors, and making sure to color all the little detailed 8th notes. It looks lovely, Chloe! Nathan added a little sunlight to his page with the sunrays around the SHAR logo and yellow outlining around stems and flowers. The light, bright color choices add a “springy” feel! Wonderfully done, Nathan! Georgiana took her page to the next level with some added details. She outlined a girl playing violin in the center, added a realistic looking brick backdrop, and included little details that are fun to spot, like melting SHAR logos and rust on the watering can. Well done, Georgiana! Claire made her page pop by outlining the details on the page and adding some shading beneath. This, in tandem with her saturated and diverse color choices, makes the image appear almost 3D. Excellent, Claire! Diana impressed us with her creative additions and great use of shading. 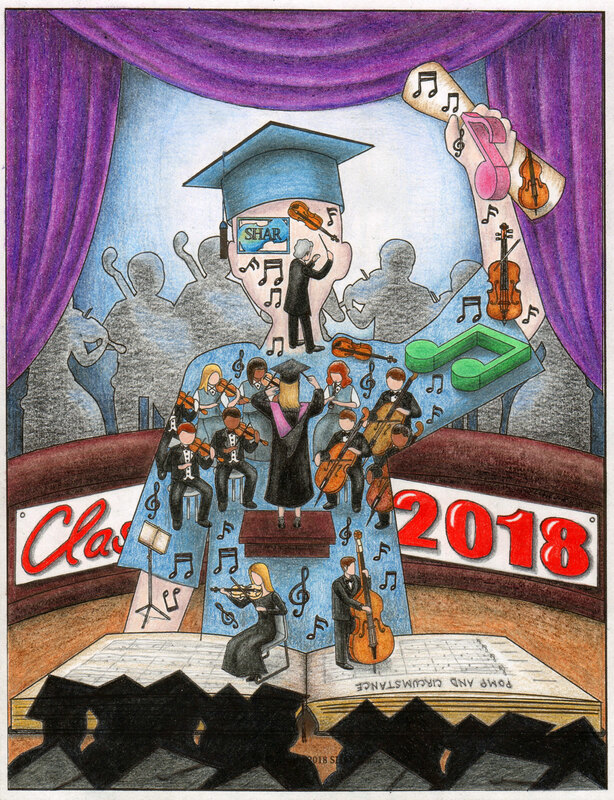 With the addition of curtain textures, dimensional shading, and sheet music for Pomp and Circumstance penciled in at the bottom, the page almost comes to life! Way to go, Diana! We want to sincerely thank everyone who sent in their submissions! It was fun to see how all our musically inclined customers are also very talented in other art forms. We hope you all enjoyed coloring the pages as much as we enjoyed looking through them. We look forward to see what you come up with next time around! Make sure to follow us on Facebook, Instagram and Twitter to see Contest Winners and Honorable Mentions from the coloring contest featured later this week! For immediate notification of future contests, sales promotions, blogs, and more, sign up for our emails at www.sharmusic.com, and let us know how much you enjoyed participating in or viewing the results of these contests in the comments below!